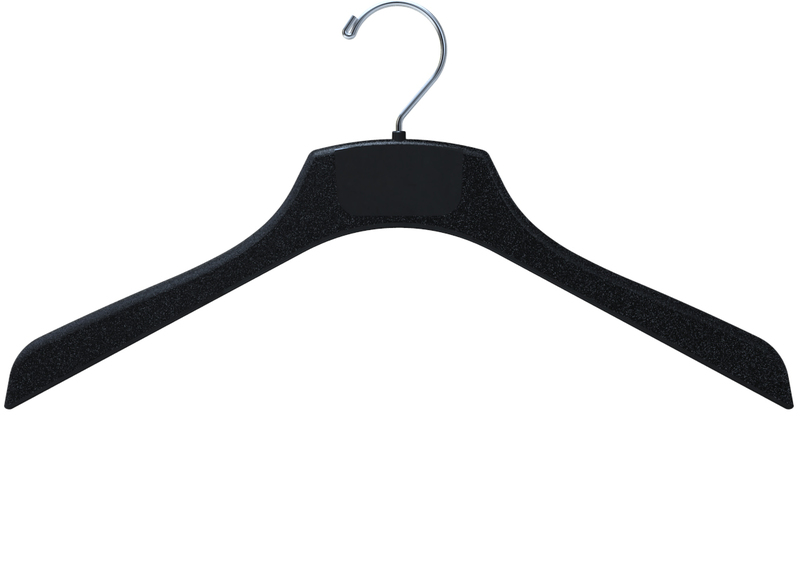 Its reinforced structure gives this hanger added strength which makes it suitable for a variety of garments. This hanger also features a textured non-slip finish as well as an elegant area for printing logos. Our big jac 228 outerwear hanger is not another typical hanger. Designed and manufactured in the USA.